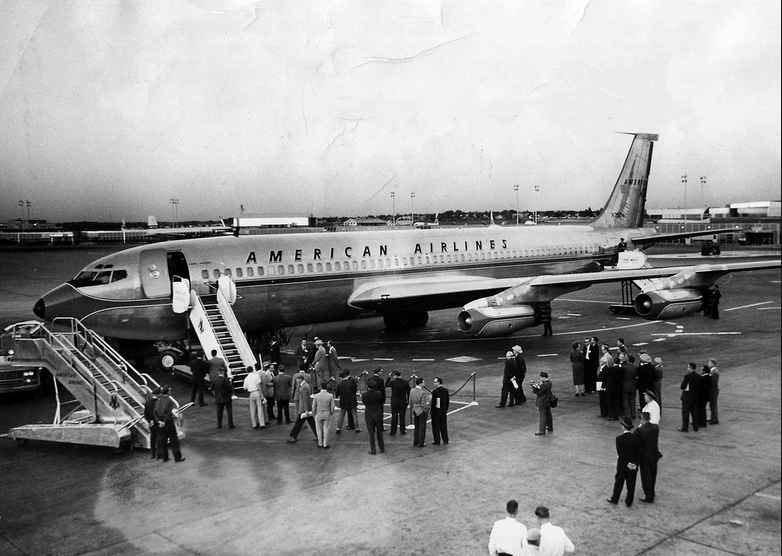 In the late twenties and early thirties, American Airways was created through the acquisition of dozens of smaller airlines throughout the United States. Like most airlines, at the time the company profited by carrying United States mail. In 1934 American Airways Company was acquired by E.L. Cord, who renamed it “American Air Lines”. 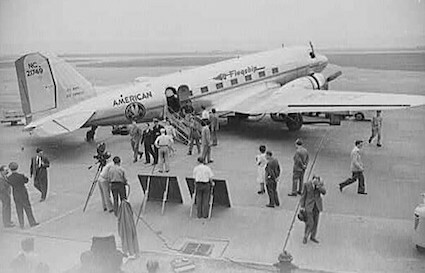 The company revolutionized air travel by working with Donald Douglas in developing the DC-3, and American Airlines was the first carrier to fly it beginning in 1936. 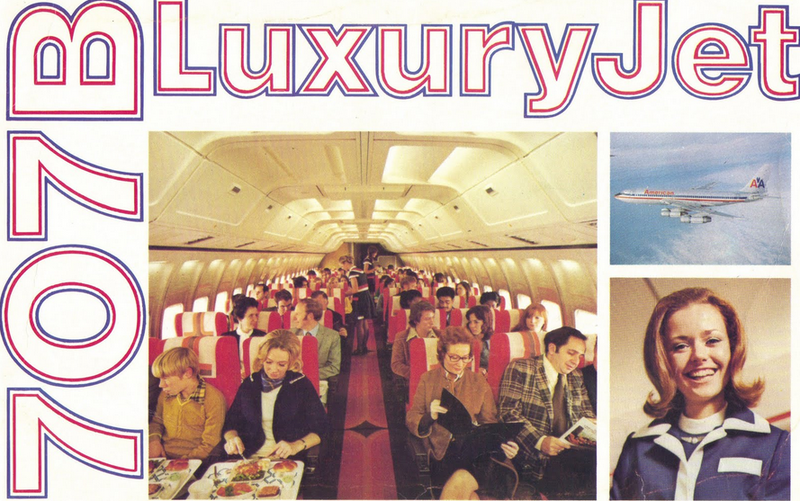 This helped them become the first airline earning a profit solely by transporting passengers (other airlines still had to carry mail as well as passengers in order to make money). American Airlines was the first to work with Fiorello LaGuardia to build an airport in New York City, and this helped create the world’s first airline lounge at the new LaGuardia Airport, which became known as the Admirals Club. 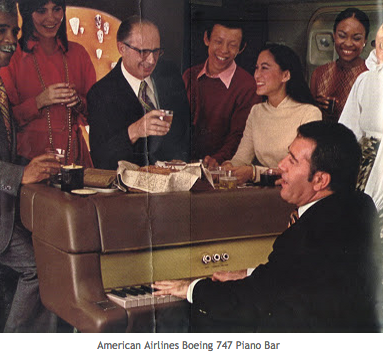 By 1970 American Airlines was offering its first long-haul international flights from St. Louis, Chicago, and New York to Honolulu and on to Sydney and Auckland via American Samoa and Nadi. In 1973 Bonnie Tiburzi was hired to fly Boeing 727’s and American Airlines became the first major airline to employ a female pilot. American Airlines has been innovative in other aspects, initiating several of the industry’s major competitive developments including computer reservations systems, frequent flyer loyalty programs and two-tier wage scales. American Airlines (AA) is a major North American airline that is owned by AMR Corporation, headquartered in Fort Worth, Texas. It operates one of the largest international and domestic networks, with flights scheduled all over the world. Dallas/Fort Worth International Airport is the airline’s largest hub, with American Airlines and AMR’s regional carrier American Eagle accounting for the majority of the traffic. Previous: PRIVATE TRAIN CARS: A look inside! Next: CHASEN’S – The world-famous West Hollywood Celebrity restaurant. No credit cards, please!